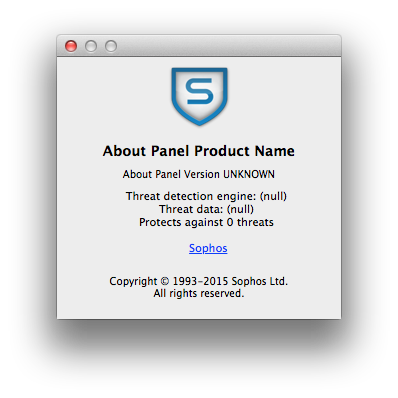 I might have disabled Sophos Anti-Virus accidentally on-purpose. Suddenly, it no longer knows who it is. However, it is true that in this state, it is protecting against zero threats. While this may be funny, it does call into question the reliability of its own “tamper protection,” which was easily disabled with a few launchctl commands. No, because it would slow things down. I once tried Sophos for Linux, and it consumed an unacceptably high amount of CPU (12% continuously! ), so I uninstalled it. You may use Markdown to format your comments.